Winners Announced in the 2018 Logistics Awards in Biggest Awards Night Yet! The final winners were announced at a high-profile awards ceremony on Friday 20th April at the Park Inn by Radisson Hotel in Northampton. The event was organised by the Northamptonshire Logistics Forum – a forum facilitated by Northamptonshire Growth Hub and University of Northampton and made up of logistics companies county-wide. Tony Bellott, Chair of the Northampt-onshire Logistics Forum, said: “We are so proud that our third Northamptonshire Logistics Awards evening was the biggest and best to date, with more categories, more entries and a superb range of finalists. What better way to celebrate amazing achievements by so many talented and amazing people. “We are delighted that the ceremony has grown to become a significant event in the national logistics calendar, highlighting the important contribution our county makes to the UK’s logistics industry. MacIntyre Hudson MHA sponsored the event, with Adam Young, Head of Transport and Logistics, taking to the stage to welcome guests. 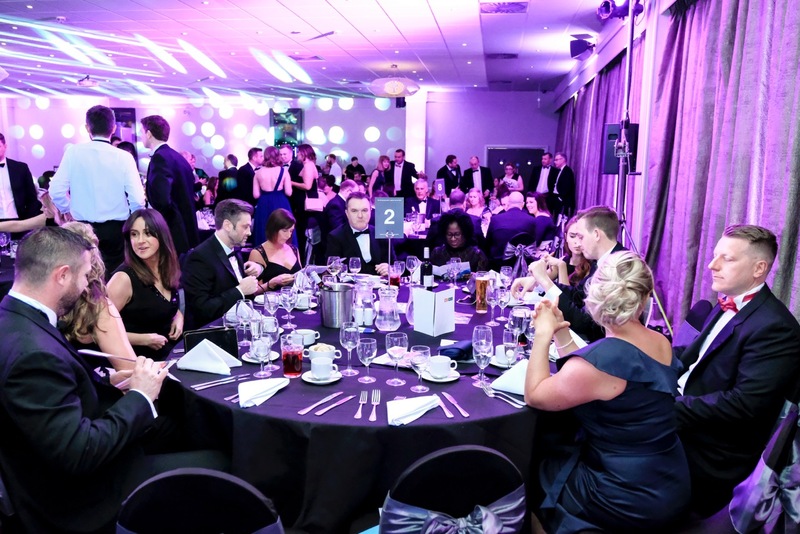 He said: “It is wonderful that the Northamptonshire Logistics Awards continues to give recognition to the truly exceptional talent in the county and in turn is being increasingly well supported by the sector. “Logistics is one of our Northampton office’s core sectors and we have many of our clients working within it, which is why we are delighted to continue our support of this fantastic event. Wilson Browne Solicitors sponsored one of the evening’s categories and also generously sponsored and funded John Griff, ensuring the event had a professional compere for the evening. Kevin Rogers, Partner at the firm, said: “Logistics is a massively important sector to Northampton, especially with such a large proportion of the workforce being employed in the sector – it’s just one of the reasons we have dedicated sector experts who focus on Logistics.